Hello! 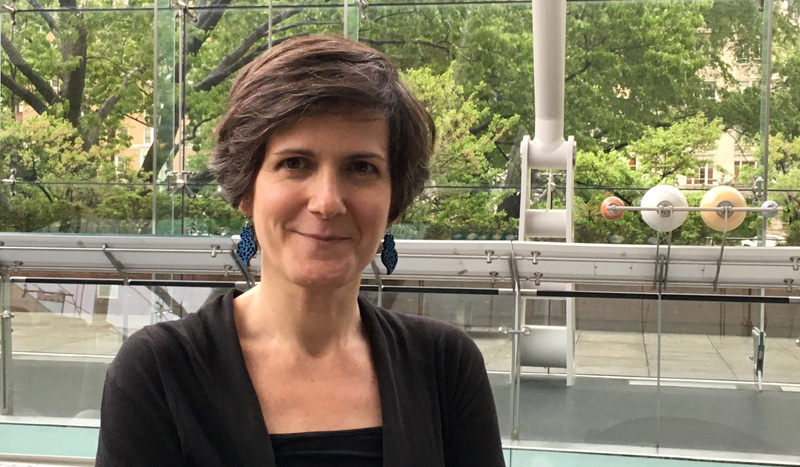 My name is Julia Kamin, and it is with great excitement and gratitude that I introduce myself in this blog post as CivilServant’s new Research Manager. For as long as I have been a conscious adult, I have been fascinated by two things: human behavior and this bold experiment we’re all involved in called democracy. Straight from graduating as a Government major, I lived abroad for three years (in Hungary and China) because I was curious to learn how people thought and behaved outside of US culture. Back in the states I worked with public school students in NYC because I believed the key to a healthy democracy was a thoughtful, empowered citizenry (a belief I still strongly hold). In 2002, global events steered me to think more directly about how we operate as a civic society. At that time, the internet was connecting Americans in new ways and I wondered and hoped (like many) that it could be the key to a more savvy and empowered citizenry. That’s how I started along the path that eventually led me to pursue a PhD studying political behavior and social media. Along the way I got a closer look at the promises and challenges of online engagement while working with CitizenJoe and EthePeople, had the opportunity to run countless behavioral experiment as Todd Rogers’ research assistant and began to think deeply about the risks of social media as part of Eli Pariser’s research team on The Filter Bubble, a subject that eventually became to the topic of my thesis. As a PhD student at the University of Michigan, my initial plan was to better understand how social media creates and reinforces our echo chambers. Throughout my research, I've used a variety of methods: simulating diffusion in polarized networks, analyzing the sharing behavior of Twitter users, and examining people's sharing choices in experimental settings. What I was surprised to discover, as other political scientists have also observed (here, here, and here), that social media sites like Facebook and Twitter are not the generators of information bubbles they are often believed to be. As I wrote for Vox in 2017, they may rather expose us to a greater diversity of political information than we would see via other media. Social media's tendency to expose us to more diverse ideas doesn’t mean social media is a public sphere ideal: I found in my research that social media poses a different risk to democracy in its ability to amplify “extreme” news from both far left and far right sources. As other scholars point out (here and here), exposure to such information can make it seem that the “other” side is not to be trusted and that we are nation divided between “us” and “them,” with dangerous consequences for democratic legitimacy. Having studied the potential dangers of social media and online interaction, I see the kind of work CivilServant does as the more necessary and urgent. Finishing up my dissertation work and looking ahead, I knew I wanted to get back to working with a mission-driven organization, one that was having a direct impact in improving civic spaces online and one that used the best insights and tools from social science to make that impact. When a friend forwarded me CivilServant’s call for a research manager, it truly felt like a dream come true. I'm excited about empowering online communities to do research to improve our online civic spaces- putting the "citizen" into “citizen behavioral research.” What CivilServant’s partnerships with online communities have already accomplished toward that vision is awe-inspiring. It is my hope that my experiences conducting research and building relationships will keep CivilServant and the communities we work with on this exciting trajectory. As a research manager I get to grow and maintain our conversations with communities, work together on community ideas for research and help translate those ideas into projects CivilServant can take on. As with all of CivilServant's projects, I look forward to collaborating with communities who will be the drivers, consultants and ultimate arbiters of that research. It is this part of the job that most gets my engines revving most - learning from online communities what kinds of challenges you face and what solutions we can test together.